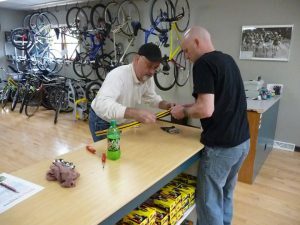 Total Cyclery is a second-generation, family-owned bicycle shop in Kenosha, Wisconsin. Marty Gauss started the shop in 1986 and ran it with his wife, Caroline, until 2014 when he passed it to his son, Robby. 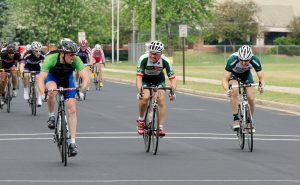 The Gauss family has been heavily involved in Kenosha-area bicycle racing in all forms. Marty coached, wrenched and supported local racers including his two sons for decades, while delivering great customer service to anyone who walked through the door.